The Risks, the Opportunities and the Financial Impact of Climate Change. 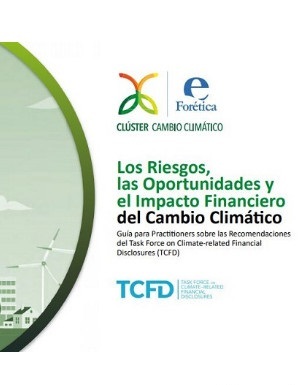 This document explores the business case related to climate risks and opportunities to inspire decision makers from the private sector to deploy strategical climate action. It also offers a blueprint on how companies can integrate the recommendations of the TCFD into their businesses and how scenario analysis can be a very useful tool. This report is in Spanish.